Accidents happen, whether they’re car accidents, friendly fire, drug overdoses. Accidents happen, and they’re tragic. It’s like a bomb that goes off and pieces of shrapnel rip into the flesh of the family. It’s the families that need the compassion, because everywhere they walk, every day, someone reminds them of their loss. Doing a sitcom is like doing a play – you rehearse for three or four days, and then you shoot what you rehearsed on Friday night in front of an audience. An hour-long drama is like shooting a movie. You’re shooting 13-14 hour days. The endurance itself is different. I don’t deal with death very well. My brother, John Candy, my dad, my mom, Brandon Tartikoff just a couple of weeks ago. I mean, you lose a lot of people in your life, and that’s one thing I am constantly working on – pain management. I left Chicago many years ago to move to California. You can’t help but live a healthy lifestyle here if you want to fit in. I find myself eating chicken and salad and chicken and salad and salad and chicken, like a monk. I’ve done movies with Oliver Stone and Michael Mann. And I’ve done quite a few dramas in my time, from the theatre to film work. I just think the audience is used to seeing me on ‘Saturday Night Live,’ and ‘K-9,’ and ‘Curly Sue’ and of course, ‘According to Jim.’ I think that my comedies have been the most popular. Listen, we all have to agree that there is too much litigation going on in this world. But every year it seems to multiply tenfold. Why can’t we stop it? Well, it’s because the lawmakers in Congress and the Senate are almost all lawyers, too! When Whitney Houston died, I felt great sadness. My sadness, of course, was about our collective loss – when you listened to this nightingale sing, your body would drop into a chair, your head would tilt up, a small smile would creep across your face, and inside you knew that there was a higher power somewhere: gifted, beautiful, spiritual. But if you go over the line, you don’t want to get stuck in a Nevada State court room. Honestly, because Nevada has been doing a good job of putting California criminals in jail. I mean, we couldn’t put OJ in jail, but they did. We couldn’t put Paris Hilton in jail, but they did. Celebrities in general are pretty democratic, just being in the theater. Plus, I’m from Chicago. But Obama’s sensible… he’s just a reasonable, sensible human being. I like to consider myself a star – a star, that when you look in the sky, it’s always there. And on a clear night… a shooting star comes by, and get a little thrill, and you make a little wish. You need both types of stars, the shooting and the constant stars. The heavens include them all. In the old days, you would have one lawyer to handle everything: speeding tickets, buying a house, contracts, litigation, real estate, copyrights, leasing, entertainment, intellectual property, forensic accounting, criminal offenses… the list goes on. Now, you have to have a separate lawyer for each one of those categories! People are always coming up to me and saying, ‘I love you, love your work.’ And then the next sentence is, ‘I loved your brother.’ John made people laugh, and laughter is a powerful thing. When I come to Chicago, I gorge myself. I get off the plane and start with Gene and Jude’s for two hot dogs with everything, swing by The Fudge Pot for a taffy apple and a turtle, chocolate clusters at Sarah’s Pastries and Candies and steak at Smith and Wollensky. I find time for Gino’s pizza within the next 12 hours. Heroes aren’t born, they’ re cornered. Oh, I was cornered. And I found out that I was no hero. 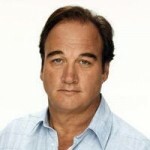 James Adam "Jim" Belushi was born in Chicago, Illinois, USA. He is an American actor and comedian. He earned a BA degree in Speech and Theater Arts from Southern Illinois University. He best known for playing the role of James "Jim" Orenthal on the long-running sitcom According to Jim. His role in several films include: Thief, Little Shop of Horrors, Salvador, Red Heat, Mr. Destiny, Jingle All the Way, Curly Sue, Return to Me, The Wild, Underdog, The Ghost Writer, Home Sweet Hell, The Whole Truth, and Katie Says Goodbye. His role in television include: Working Stiffs (TV series), Saturday Night Live(TV show), Wild Palms(mini-series), Parallel Lives(TV film), Sahara(TV film), The Defenders(TV series), and Good Girls Revolt(TV series).